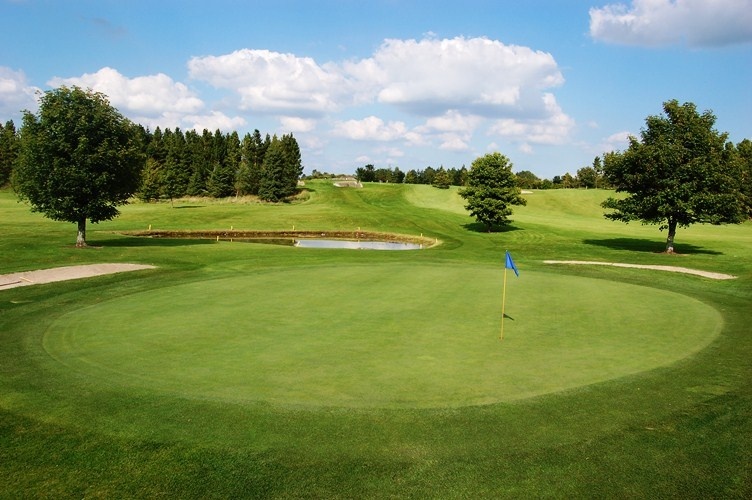 The lovely Loughrea Golf Club will host Scratch Cups from Friday 23rd May through Sunday 25th May. 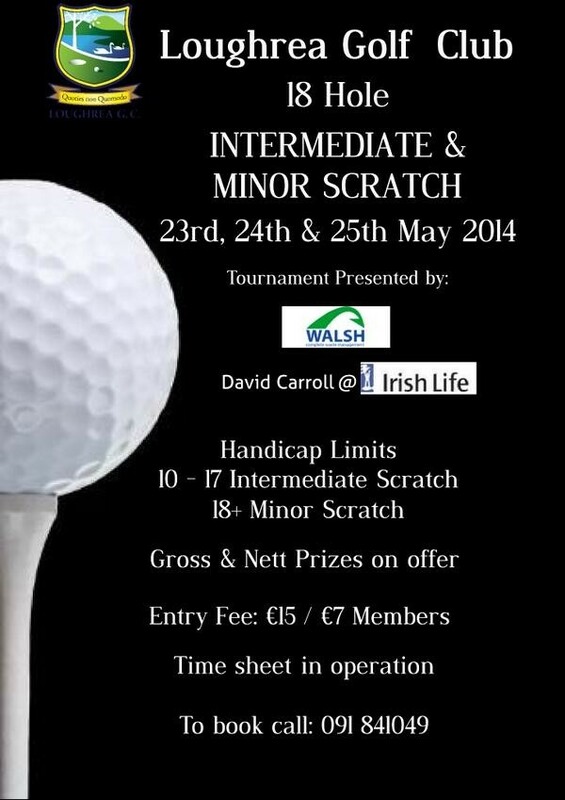 Their Intermediate & Minor Scratch Cups will take place on Friday 23rd, Saturday 24th & Sunday 25th May. The Minor Scratch is for those with Handicaps of 18 and higher while the Intermediate Scratch Cup is for those between 10 & 17 Handicap. There are Gross & Nett Prizes on offer and for only €15 per person for Non-Members and €7 per person for Members it is great value. You can book by calling 091-841049. 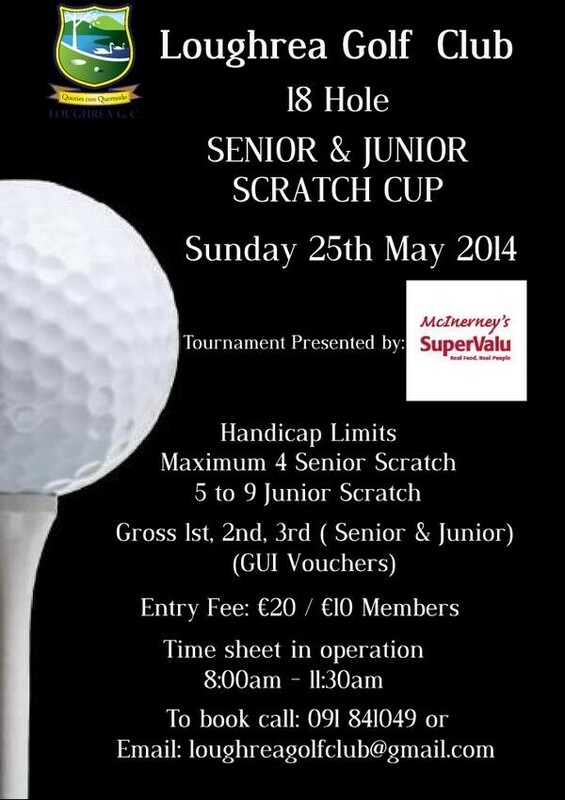 The County Galway course will also host their Junior & Senior Scratch Cups on Sunday 25th May, presented by McInerney’s SuperValu. The Handicap limits are 4 and lower for the Senior Scratch while the Junior Scratch is 5-9 Handicap. The entry fee is €20 per person for Non-Members and €10 for Members and there are tee times available between 8am and 11:30am. You can book by calling 091-841049 or email loughreagolfclub@gmail.com. Check them out on Twitter too @LoughreaGolf !